Etosha National Park’s newest camping site – Olifantsrus (meaning Elephant’s Rest) – is a bizarre place. The western part of Etosha was only opened to all tourists as recently as 2014 which meant that not many visitors know about this place. When I first heard about it in 2011, I immediately knew that I had seen this place before in a video. That was not a pleasant video to watch because it was a video of rangers culling entire herds of elephants. It didn’t matter if the elephant was fifty years or fifty hours old, if it was part of a marked herd then it would be killed. 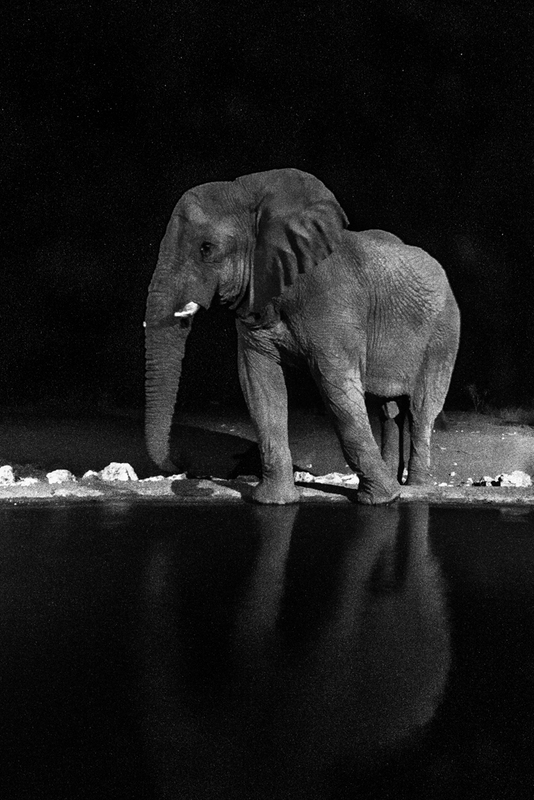 After a long period of drought in the 1980’s the management team took a painful decision that elephants had to be culled to save elephants in the park and in the country. The culling operation had strict requirements: entire herds would be culled quickly and as humanely as possible and no part of the elephants killed would be wasted (i.e., carcasses wouldn’t be left to rot in nature). In order to not waste any part of the martyred elephants, they built a special elephant carcass processing camp and called it Olifantsrus – the place where elephants rest. I first saw the place on a research trip in 2013. The massive white rail erected to hold elephant carcasses towered over the woodland savanna. It was eerily quiet as I noticed the metal rope hanging off the rail like a noose. On that trip, I couldn’t spend much time there, but now that there was a full campsite – built with funds from the United States government – I decided to revisit Olifantsrus. 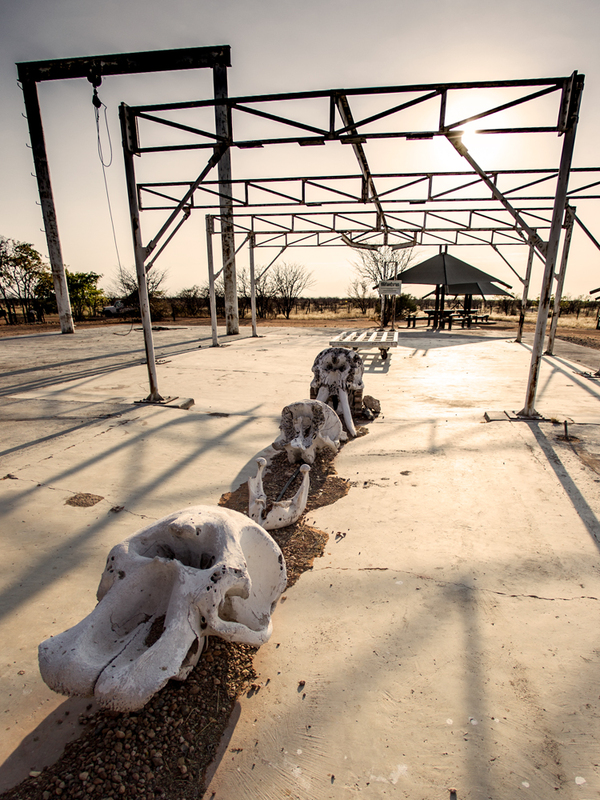 Skulls of dead elephants now serve as decoration to the visitor center. My first reaction on seeing that was to apologize to them on behalf of mankind. The visitor center has many photographs from the culling operation and some of the pictures are just heart-breaking to those who love elephants. Sitting on the concrete benches and looking at the meat-processing structures, the only thing I could hope for is that such a place is not needed again. One can always hope, right? 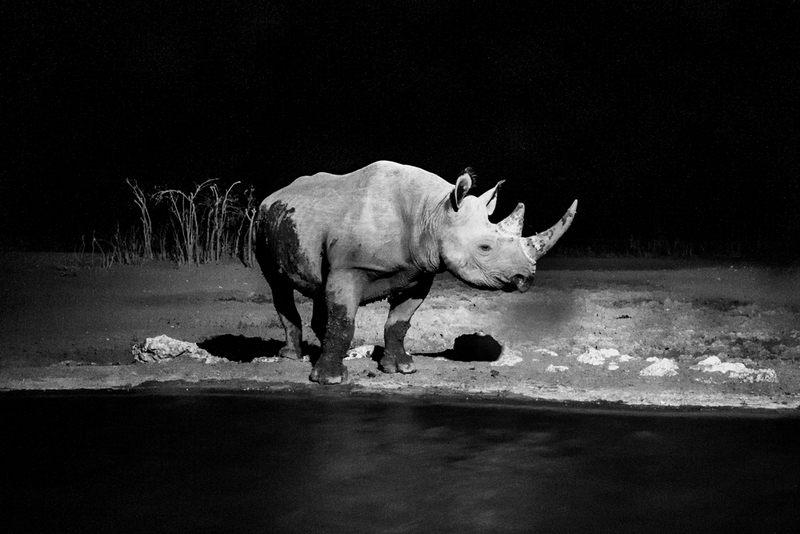 I couldn’t sleep that night, but fortunately, the waterhole is a comforting place to be for those suffering from insomnia. I had a steady stream of visitors in the form of elands, rhinoceroses and elephants. Long may they roam free and wild in their land.